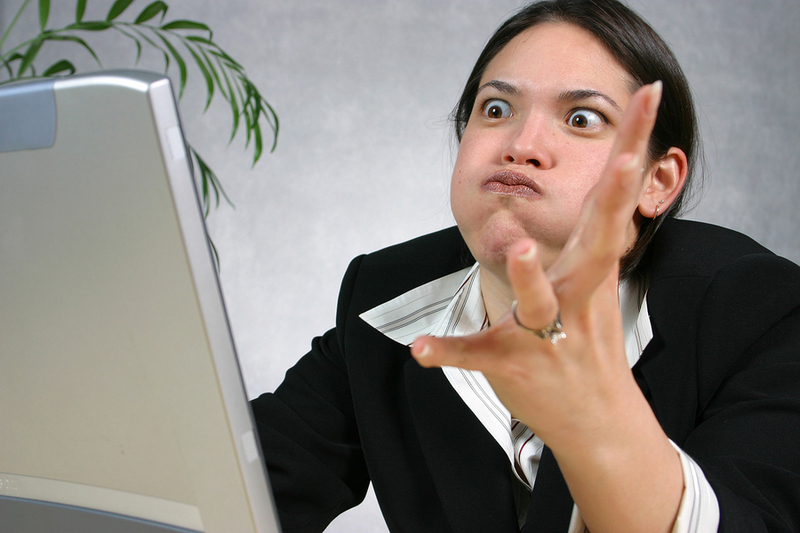 Home » Blog » Frustrated With Your Website Hosting Company? Frustrated With Your Website Hosting Company? I have been creating websites for myself and my clients for years now. Without a doubt, the most frustrating thing about owning a website is finding a good web host. I had a hosting company that I loved and recommended for years. They were phenomenal. They were helpful and available. Then they got bought out and everything with them went south. The situation came to a head when one of my clients realized that her website was down. My then favorite host had switched her to a new server and lost her website in the process. Not that they bothered to alert her or anything. Imagine her chaos. She sold product online and she was losing money by the day because of someone else’s incompetence. Worse yet, her hosting company couldn’t even find the website backups. She reached out to me for help and after I spent several hours on “hold hell” trying to get through to someone that could help her, I gave up. I had already been researching SiteGround for my own websites but hadn’t made the switch yet. You see, switching hosts can be painful. It was just that “one more thing” I didn’t have time to get to. But now, my client had to, was forced to, make a switch and do so immediately. Fortunately for her, I had kept a backup of her website. So agreed to do as I suggested and switched to SiteGround. 1. They are faster. The industry average loading time is 4.7 seconds. Their loading time without cache is 1.7 sec and with cache is 1.3 seconds. If you don’t know what that means, here’s the basic explanation. The faster a website loads, the more likely your customer will stick around to read your information. There’s more to it than that, but that’s it in a nutshell. Plain and simple. 2. They are safer. Every website is at risk for hacking. There are absolutely no guarantees in security. However, SiteGround uses the very latest in patching and isolation to make sure that your website is as safe as possible. 3. Their support department is amazing. I know this first-hand. They claim to be available 24/7 and I can attest to the fact that they are. I’m often working at odd hours and if I need help, I know that I can call, chat or submit a support ticket at any time. Yes, you read that right, you can reach a live human that speaks English at any time you need to…even via the telephone. So back to my client with the issue. She signed up for SiteGround and I migrated her site. Can I tell you how much I hate migrating websites? Anything can go wrong and often does but we got through it and all is well. Of course, the migration cost her money. I can’t work for free, of course, so I had to charge my client for my time to migrate her website. I was so impressed with them, however, that I immediately moved all of my own personal website and all made the suggestion to all of my website clients. Some moved, some didn’t. So as a SiteGround customer and affiliate, a deal crossed my path recently that is available only from September 1st through September 8th, 2016. They told me it was a deal that I was welcome to share with “my peeps.” There’s a hefty (up to 60%) discount off hosting. But most importantly there is FREE domain and website migration that they (SiteGround) will do for you. And if you are locked in with a prepaid plan that you can’t get out of, they’ll credit you up to 6 months of hosting time to sweeten the deal. You may be perfectly happy with your website hosting situation and if you are, that is wonderful. Stay where you are. But if you been having trouble with a slow website, poor customer support, odd email issues (your company email is likely hosted with the same host as your website) then I would make the switch during this promotional period. You have between September 1, 2016 and September 8, 2016 to take advantage of their deal. You don’t need to pay someone like me to get involved. They can make the process super easy for you. They will move your website from your current host to your new hosting plan with them for free. I prefer to purchase my domain names and have them registered through a major domain name registrar. I don’t ever like to have my domain name registered with my hosting company, or vice versa, no matter how much I love them. It is best to keep things separate. So if you are registered with GoDaddy or Network Solutions, just keep your domain there. But if your domain name is registered through your current host you’ll need to transfer your domain name registration and SiteGround will transfer it to themselves for free. If you have a prepaid hosting plan there is no reason not to make the switch now during this great promotional period because they will credit you with up to 6 months of hosting time for the time you prepaid with your current host. You can explore the deal further directly from them by clicking on the special deal link below (or any of the links in this article). If you have questions, I’m happy to answer what I can. Just post your question below and I’ll do my best. They are the final word on their product, of course, but as one of their customers I may be able to shed some light on what you might wondering. Very Important! Always refer to this website for our official information.